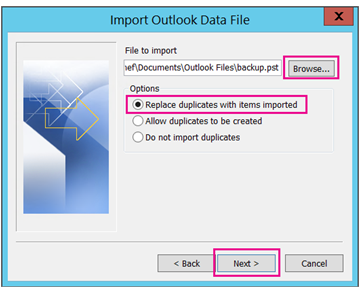 This article describes how to manually migrate emails using Ms Outlook. In case any dialog box appears to save on other location, click on Cancel button. 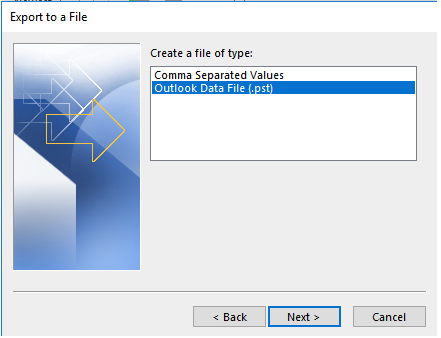 Type a name for Outlook backup. Click Finish. Your PST file is saved on hard drive (local device). Configure the email using the guide provided HERE. 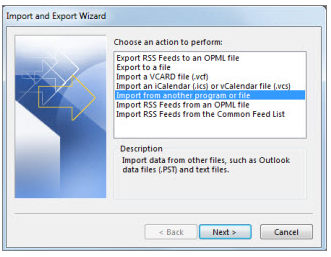 If you're importing the contents of your .pst file into your mailbox, choose that mailbox here. 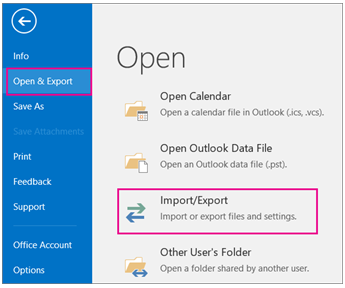 If you're NOT importing into your mailbox, choose Import items into the current folder. 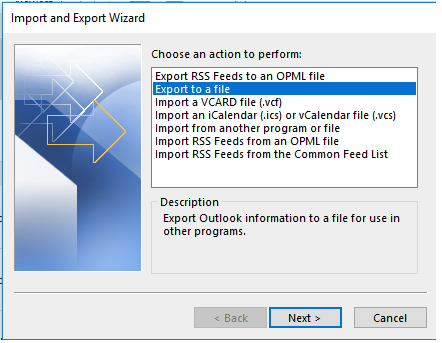 This imports the data into the folder currently selected.